Hola guap@s, un domingo más os traigo una entrada con una de mis últimas adquisiciones y la de hoy son unas sandalias increíbles. Hi beauties, another Sunday I show you one of my last acquisitions. 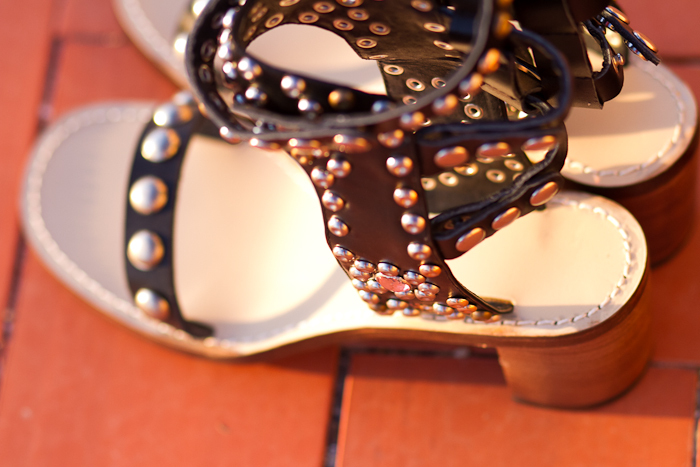 And this post is about shoes, an amazing pair of sandals. Estas sandalias negras con tachuelas son una buena alternativa low cost a las famosas y preciosas Carol de Isabel Marant, así que fue un visto y no visto con ellas, ya están en mi zapatero. Son de la tienda online JESSICA BUURMAN de la cual ya os he hablado antes porque estoy encantada, pero es que este es el tercer par de zapatos que tengo suyos y no puedo estar más contenta, primero con los zapatos, todos súper tendencia y a precios asequibles y segundo con la gestión y el envío, que llega muy rápido a casa. ¿Qué os parecen, os gustan mis nuevas sandalias? 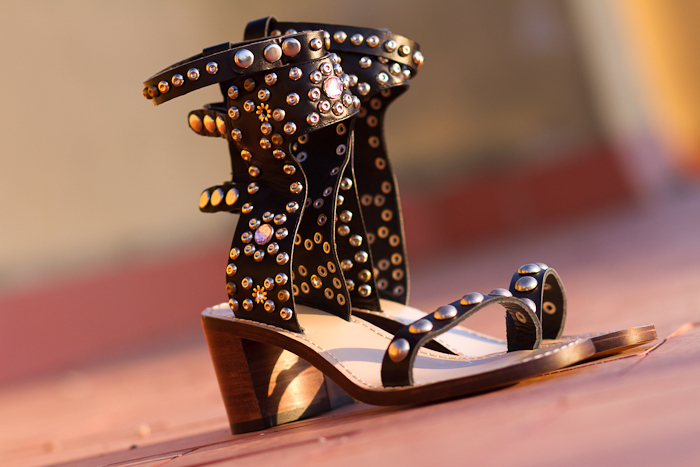 These black ankle strap studded sandals are a good low cost option to the Isabel Marant Carol style ones, and I had no doubt, they are now on my shoe cabinet. I bought them on the JESSICA BUURMAN online shop, which I had previously mentioned to you because I'm very satisfied with its pieces. This is the third pair of shoes and to be honest I love all three, the shoes are amazing and with good prices and the delivery is very fast. 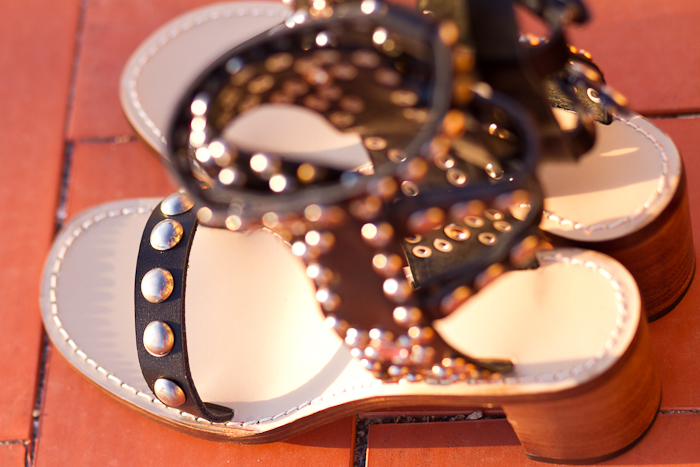 Do you like my new ankle strap studded sandals? aaaaah OMG!!!! They are so gorgeous!!!! I love them!!!! Wow! 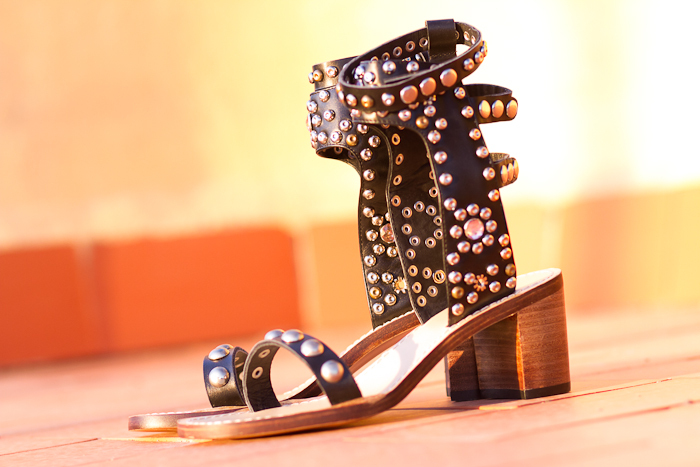 They look identical with the Isabel Marant Carol sandals. Dios me encantan!!! Son de la bloggera Rumí? Son preciosisimas! disfrutalas ;)! Estoy participando en un concurso de moda, ¿Me Votas? Wow they really look like the ones from Isabel Marant! Ideales !!! me encantan !!! Can you please tell me delivery time? and how does they fit? the delivery time in my case was so short, it was around one week since I placed the order. They fit normal size, I order the same I wear and they fit me perfect. I really love them, you will be able to see them on me this same week. son preciosisimas! besazos! te espero en mi blog! pasate! Totalmente WITH SHOES!!... son muy originales! Linda sandália! Blog muito bonito. que preciosidad de sandalias, muy marant! Those shoes are absolutely amazing! They look so versatile! i got mine too from jessicabuurman..its so indetica with Carol Sandal by Isabel Marant.